Drivers Unlimited specializes in providing executive limousine transportation. Our clients range from business executives to leisure travelers looking for the highest in quality, customer service and dependability. Serving greater Fairfield county, including Ridgefield, you can see for yourself why our list of loyal clients is getting bigger every day. Our team is committed to maintaining our reputation by providing you a hassle free and pleasant experience every time you travel. Wherever you are headed, let our professional team provide you with the perfect ride in one of our well-maintained vehicles. Arriving at the airport in the near future? Book a ride in pick up in advance and use our “Red Hat Service” to meet you at Baggage Claim. And if you’re traveling to the airport or client meeting we can pick you up at your home doorstep or the office. Our Ridgefield Limousine Service is available to and from upper Fairfield County to any of the leading airports including Westchester airport, JFK, La Guardia, Newark and Bradley. Our local knowledge and experienced chauffeurs provide you with a comfortable and dependable ride to the city, airport, client meeting to night in the city. 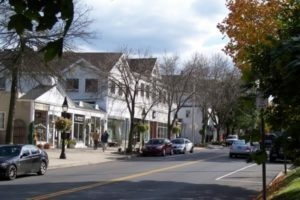 Ridgefield is a 300-year-old community situated in the foothills of the Berkshire Mountains. Ridgefield was first settled by English colonists from Norwalk and Milford in 1708, when a group of settlers purchased land from Chief Catoonah of the Ramapo tribe. 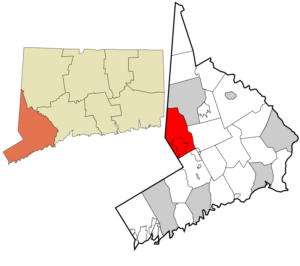 The town was incorporated under a royal charter from the Connecticut General Assembly issued in 1709. In the late 19th century, spurred by the new railroad connection to its lofty village, Ridgefield began to be discovered by wealthy New York City residents, who assembled large estates and built huge “summer cottages” throughout the higher sections of town.